Iyengar yoga is interested in integration. Although we work with certain parts of the body in certain asanas, the Iyengar method teaches us that all asanas originate in the core of one’s being. Mr Iyengar says “Practice asanas by creating space in the muscles and even the bones of your body. Practice asanas by creating space in the muscles and skin, so that the body fits into the asana. To do this, the whole body has to act. To extend the part, you must extend the whole”. 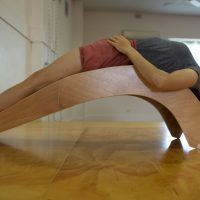 When a pose is integrated, there should be no strain on the body. While discomfort may be felt it is exertion that energises and exhilarates, rather than deforms or depletes. 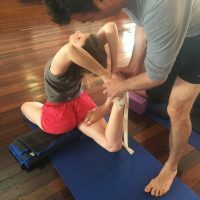 Mr Iyengar talks about how when there is strain in yoga – when an approach to yoga is based on the end result, on the final pose, rather than the process involved in getting to the pose – the practitioner might afterwards feel weary, irritated and disturbed. 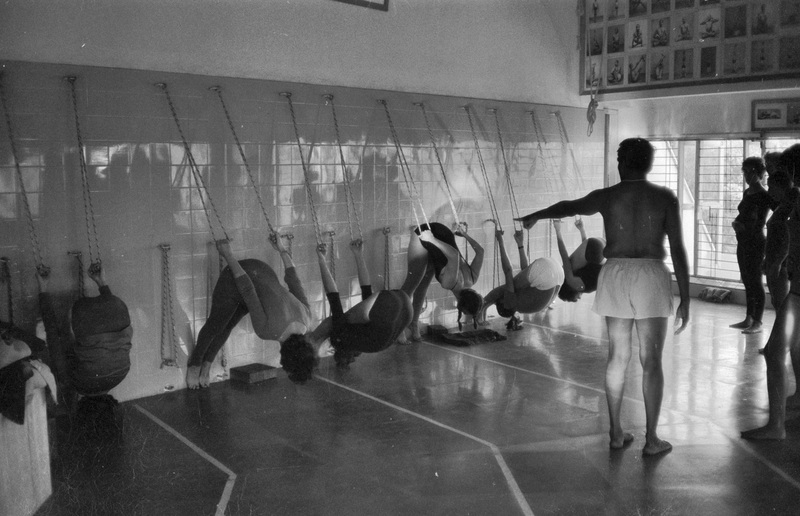 The whole idea of Iyengar yoga is that it aims at developing the capacity in the student to stop straining: the idea of the asana, in the Iyengar approach, is about bringing competing interests or opposing forces together, rather than using a particular force or energy alone and extending that to it’s full limit. Because of it’s focus on integration, Iyengar yoga encourages us towards a state of balance. Balancing poses are an ideal example of where we can see the Iyengar interest in integration, in action. Balancing poses in a sense force honesty and integrity on the practitioner, who simply cannot, no matter what, get into the pose through sheer force, strain, desire, or will. To be able to balance on our hands or on our heads in the middle of the room, we must have some capacity to draw together competing energies or interests in order to, as our recent Guest Teacher Darrin McNally said, “distribute the effort evenly.” To be able to balance in a pose – even if that pose is Tadasana, just standing on our feet – we must engage in a certain process of integration.